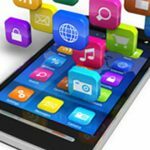 Jon Johnson, director of the General Services Administration‘s enterprise mobility program, has said that the interagency Mobile Service Category Management Team helped government agencies save approximately $500 million on mobile devices and services, Federal News Radio reported Thursday. Government-wide spending on mobile platforms and services decreased from $1.5 billion in 2013 to $947 million annually as of 2015, the report noted. Johnson told Federal News Radio that the cost savings were driven by various factors, such as increased competition in the marketplace and the efforts of MSCT. He added that the cost reductions primarily resulted from responsible pricing, lower costs and optimized device management. Johnson noted that MSCT will partner with stakeholders in 2018 to review the mobile computing decision framework; address security issues associated with mobile voice communications; and provide additional tools and guidance on the use of mobile services and applications for a distributed workforce.